Begin by exporting the Chart of Accounts created in QuickBooks from Part I. 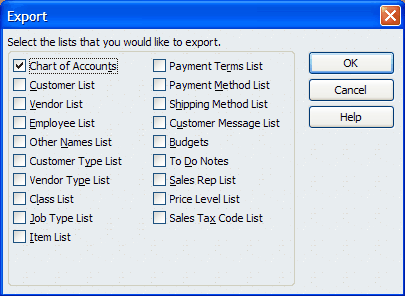 In the QuickBooks menu, go to File >>Utilities >> Export >> Lists to IIF Files... . 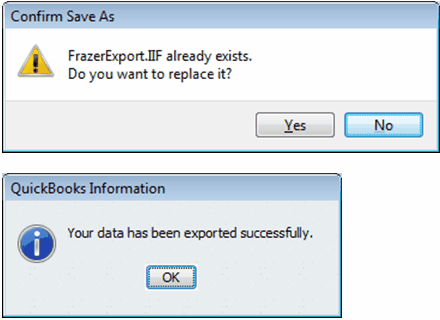 Select ONLY Chart of Accounts and click OK.
Name the export file FrazerExport.IIF and save to the Frazer30 folder or local Frazer source* folder. 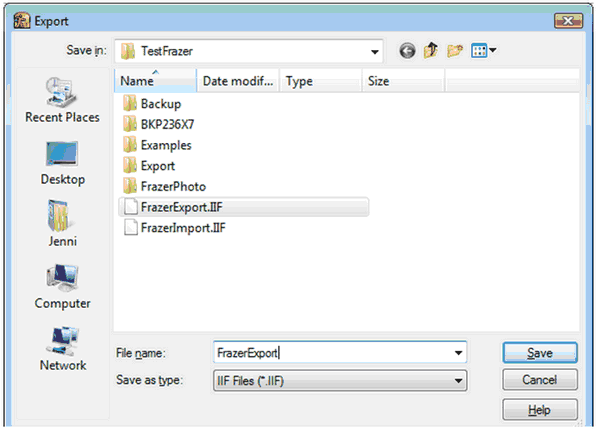 A FrazerExport.IIF file may already exist in the Frazer source folder, if you have completed this step before. Overwrite it when saving the new file. 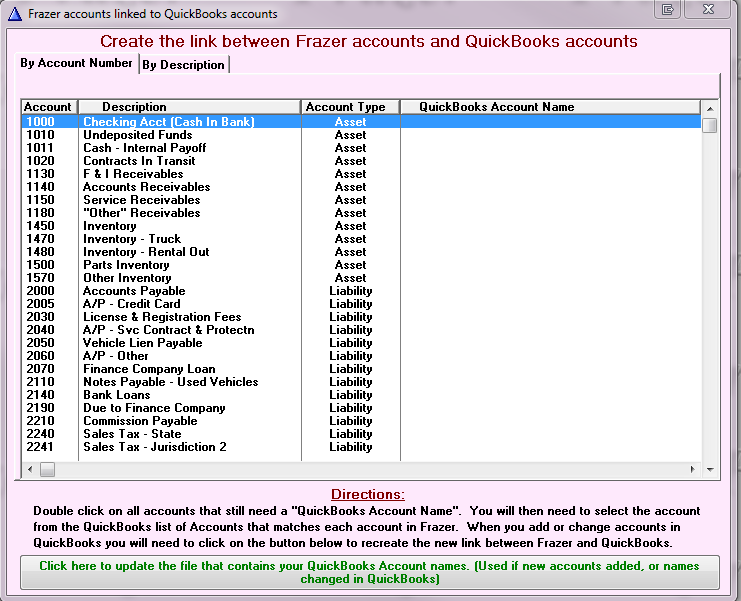 In the Frazer program, go to Accounting >> 5 - Transfer Data to QuickBooks. 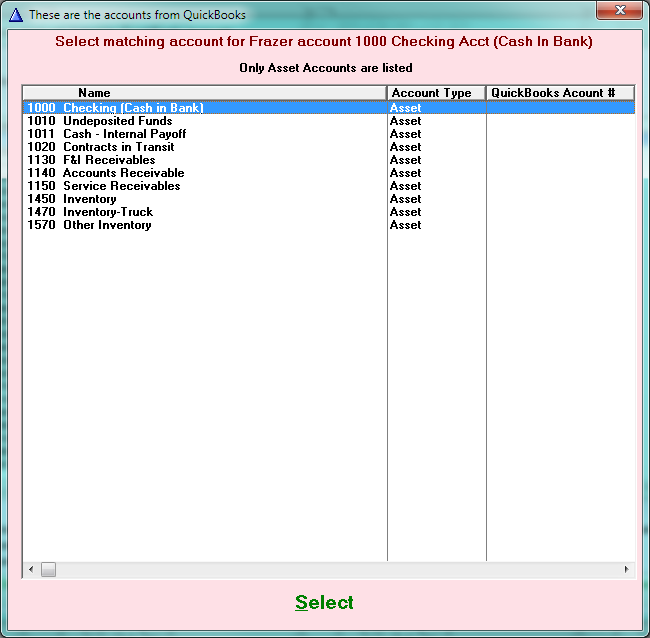 After loading the QuickBooks G/L Account Data, go to Accounting >> 5 - Transfer Data to QuickBooks >> . Select an account and double click. Highlight the matching QuickBooks account and choose . 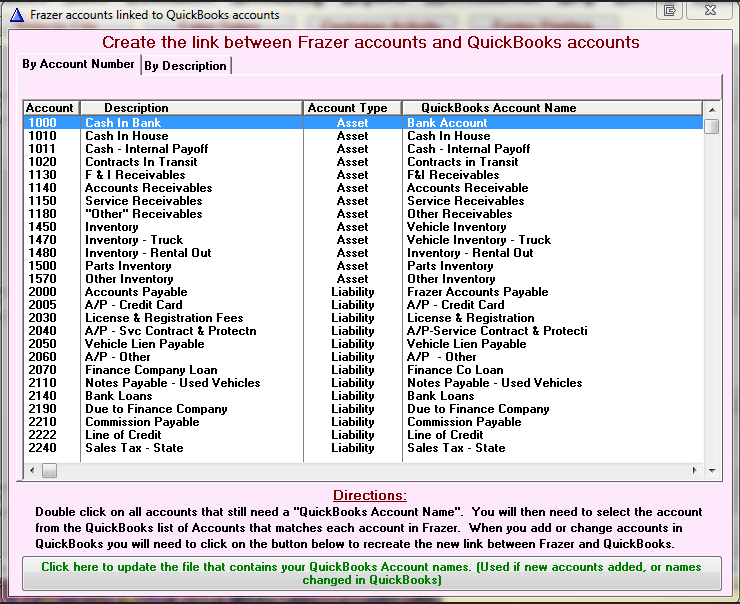 Continue the process until ALL Frazer accounts have links to matching QuickBook accounts. (Please note, the account number does not need to match in QuickBooks, as long as the account type is correct).